5 axis CNC machines are the pinnacle of milling machine sophistication. They’re the most expensive machines to purchase, and due to the complex motions involved, even more cost is involved with the need for the most sophisticated 5 axis CAM packages available. Find out why they’re worth it here. It’s the A- and B-Axis that are new in this configuration. 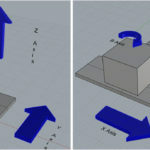 What they let a 5-axis machine do is position the spindle (represented by the vertical cylinder to the left of the Z-Axis arrow) over a much greater percentage of the total surface area of the part. 5-Axis machining is often divided into two categories–Continuous or Simultaneous 5-Axis and 3 + 2 Machining. 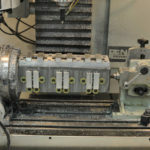 With 3 + 2 (sometimes called “5-Sided Machining”), the actual chip cutting is done just as with a 3-axis machine, and the other 2 axes are locked so they cannot move. 3 + 2 gives some, but not all, the benefits of Continuous 5-Axis Machining. 3 + 2 is easier to program, but Continous 5-Axis can have better surface finish, longer tool life, and can allow tools to reach difficult places more smoothly. 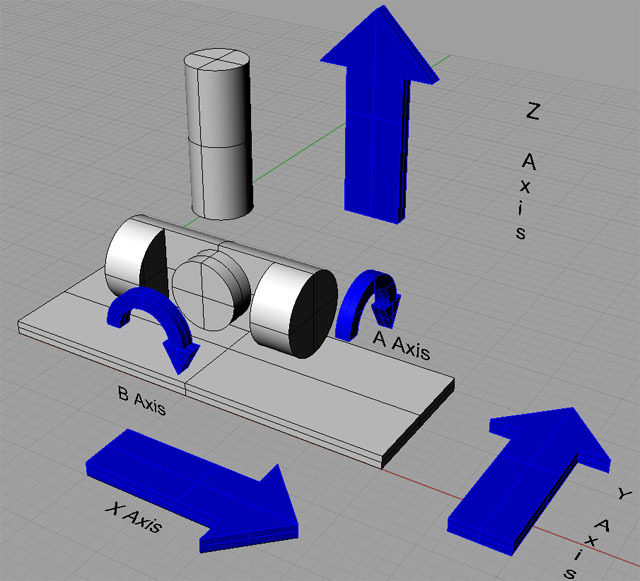 There are a number of different geometric configurations used to implement 5-axis motion. Sometimes we rotate the part, sometimes we rotate the spindle, sometimes it’s a combination. We’ll talk more about these configurations at the end of this article. 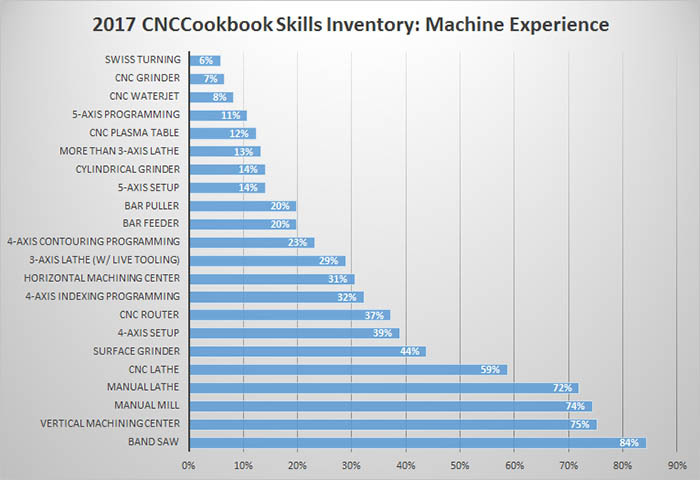 #1 – 5-Axis CNC is Uber Cool! Okay, this is a little more like it–reduced machining time. What shop wouldn’t want that benefit? 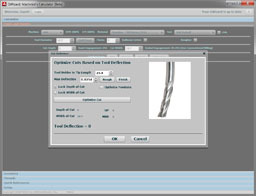 The time is reduced because a 5-axis machine can use a flat bottom endmill and by maintaining perpendicularity to the surface (there’s a reason the tool or part swivels constantly in the video), you can use full diameter step-over instead of having to use little short stepovers more common to ballnose endmills. Those of you running very small stepovers to generate a nice smooth surface can really appreciate the savings in this. 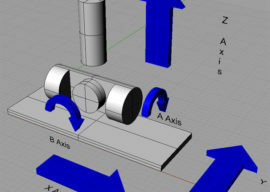 Here’s another advantage of 5-Axis that can reduce machining time–shorter tools. With a 5-axis, you can tilt the workpiece so shorter tools clear other features of the part. Shorter tools are more rigid, so you can machine faster without incurring excessive tool deflection, which is very bad for tool life. 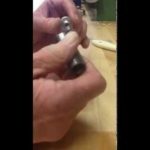 No more little scallops when you use that flat bottom endmill. No more cleanup with elbow grease and abrasives. Shorter tools with less deflection means less chatter and better surface finishes. Sweet! When you can get at nearly every face of the part except for the very bottom, you have fewer setups needed. Another big savings for 5 axis CNC. Every time you change a setup, a little error will creep in. 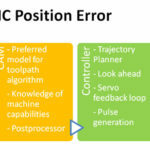 With fewer setups, or perhaps even just 1 setup, this source of error is eliminated. Let’s face it: something like the helmet shown in the video wouldn’t even be possible without 5 Axis CNC. Many parts that require a lot of undercutting will be much more difficult without 5 Axis CNC. Not every shop is going to even have a 5 axis machine and the expertise needed to make it sing. Having the only 5-Axis CNC capability in your region can give you a real leg up over the competition–it helps to have an edge! Just be sure the work in your area can benefit from it. 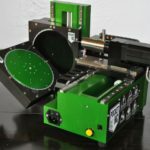 What’s the ROI of a 5-Axis CNC Machine? The little sketch depicts what is commonly called a Trunion Table. Think of it as a 4th axis with a rotating axis attached at right angles. A Trunion Table is one of the easiest ways to refit 5 axis motion to a conventional VMC. 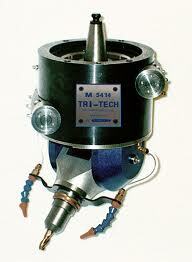 Another retrofit approach uses a 5 Axis CNC Head mounted in the taper of a conventional 3 Axis VMC. I think your first two points about scallops and straight end mills are only true in certain scenarios, namely when you have flat surfaces or convex surfaces that only curve in one direction. Otherwise you’ll still leave scallops. Convex won’t have scallops for sure. Concave amounts to the real shape of the wall, right? For example, all pockets are concave, but if I have one that is almost a 2 1/2D job but the wall has a draft angle, and the angle and the reach are such that I can access it, then no scallops there either. That’s your “curves in only one direction” case, right? Think about it as degrees of concavity (depravity?) then. Put another way, there are absolutely cases where you’ll still have scallops, but are they the majority (i.e. you only avoid scallops under these special conditions) or the minority (most of the time you won’t have scallops and can pick up a lot as a result with 5-axis). 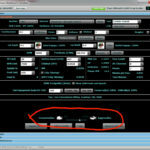 Certainly it will vary from part to part, but you should be able to get a sense of how often it comes up for your shop. 3D printers will replace this in the future and they print with more kinds of material.